Social Media should have impacted on how you interact with your customers by now, not least if you are purely an online business. There is still a disconnect though between business’ Social Media efforts and their website. 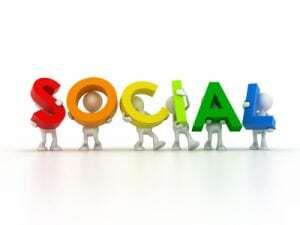 Social network website design though is the inevitable next development for any true social business. Social media can fill in the gaps between what a bricks and mortar store or office offers and what can be offered online: and with a true social business take things even further. Even if you have a bricks and mortar premises for your business when people come to your website they should be able to communicate and interact with you as well as if they had visited your store. Many businesses of course direct people from their sites to external Social Media sites to interact but with social network website design you can keep people on your site and ensure that the way they can communicate and interact suits the offering you want to deliver. You may be a national or international business but by becoming a social business and investing in a social network website design you can communicate with customers and even other stakeholders as if they were local to you. Through better communication with customers business often find they get a better understanding of their customers demands and therefore of opportunities to better serve customers or develop new offerings; in a physical bricks and mortar business this is standard but is often lost for online businesses with little direct customer contact. For those providing bespoke products and services including business to business services a social business enabled website can include collaboration tools to allow for the sharing of resources and allow for signing off of work or monitoring of progress by customers. Contact IB Systems if you have any question in regards to the Social Business or Socializing your website for your business please don’t hesitate to contact us at (727) 938-8891 or (407) 279-1368.